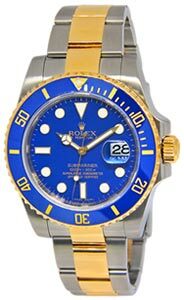 New mens Rolex Submariner(most plastics have been removed) in stainless steel with ceramic bezel features an engraved inner bezel and date. Comes with its Rolex box and papers and tags as shown. All items guaranteed authentic.